"My whole family loves this and it is so easy; it takes ten minutes to put together. Serve over hot mashed potatoes." 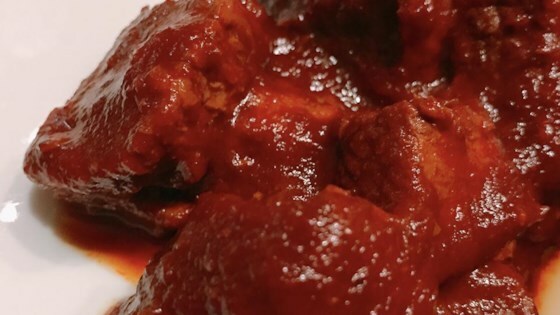 Combine beef stew meat, tomato sauce, vinegar, and onion soup mix in a slow cooker. Cook on Low until the beef is tender, 4 to 6 hours.